Inspiration boards have been very popular for a while now, but I've yet to get around to making one due to a lack of space to display it. I love looking at other people's boards to see what inspires them and what makes their creative thoughts flow. I think what makes inspiration boards so special is that no matter what no two are the same. They display each owners unique personality and what makes them tick. This board is board is gorgeous with all of its different colors, patterns, and textures. 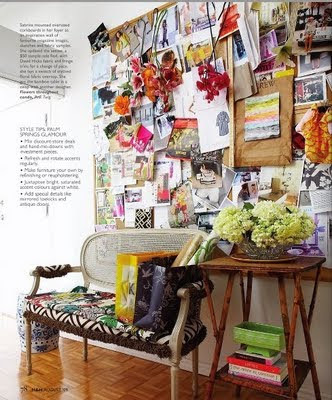 Ideally, I would love to devote an entire wall to my inspiration board as this person has done. However, if space is a problem for you as it is me, we may have to settle for a small yet cute board to display inspiration on. 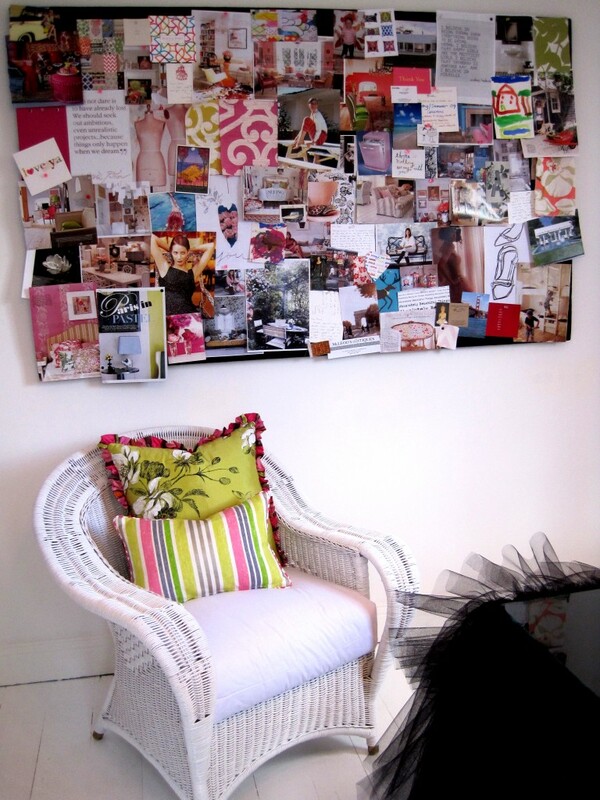 Your inspiration board should be a place to display things that make you happy. Some people confine themselves to a certain style and pattern for their boards but I prefer a more free flowing, whatever you love pattern. If you are like me and don't yet have your own inspiration board I found this fantastic step-by-step DIY guide over at My Daily Inspiration. Her inspiration board is incredibly unique and makes me very jealous. I've been making a lot of smaller ones. I really like collages to decorate my room with. I agree--I wish I had a full wall to dedicate this to! Absolutely amazing :) I adore all of these arts & crafts collages and such, in fact started my own 'Inspiration Board'- so fun! that's really cool! 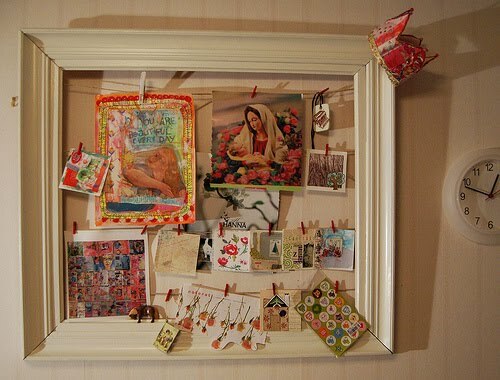 i usually just make inspiration boards on construction paper but i love the idea of using a cork board! What I love about them is that it's a tangible display of a personality. So unique. I totally want one!! I'm moving at the end of the month and I'm going to make one for my new bedroom, inspiration is something you can never have too much of!